The fall from politico to prisoner isn't necessarily long. But the landing, as Missouri state senator Jeff Smith learned, is a hard one. In 2009 Smith pleaded guilty to a seemingly minor charge of campaign malfeasance and earned himself a year and one day in Kentucky's FCI Manchester. Mr. Smith Goes to Prison is the fish-out-of-water story of his time in the big house, of the people he met there and the things he learned: how to escape the attentions of fellow inmate Cornbread and his friends in the Aryan Brotherhood; what constitutes a prison car and who's allowed to ride in yours; how to bend and break the rules, whether you're a prisoner or an officer. And throughout his sentence, the young senator tracked the greatest crime of all: the deliberate waste of untapped human potential. Smith saw the power of millions of inmates harnessed as a source of renewable energy for America's prison-industrial complex, a system that aims to build better criminals instead of better citizens. 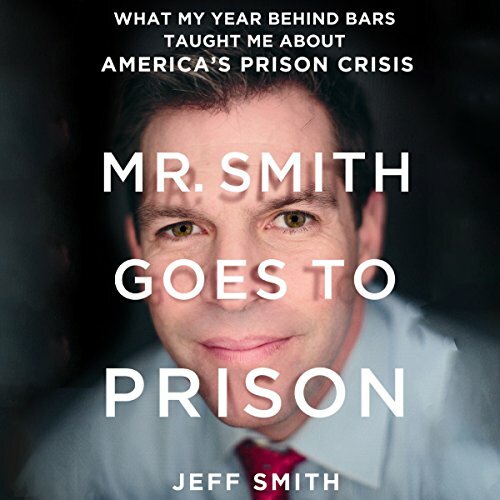 In Mr. Smith Goes to Prison, he traces the cracks in America's prison walls, exposing the shortcomings of a racially based cycle of poverty and crime that sets inmates up to fail. Speaking from inside experience, he offers practical solutions to jailbreak the nation from the financially crushing grip of its own prisons and to jump-start the rehabilitation of the millions living behind bars. View More In Crime & Criminals.